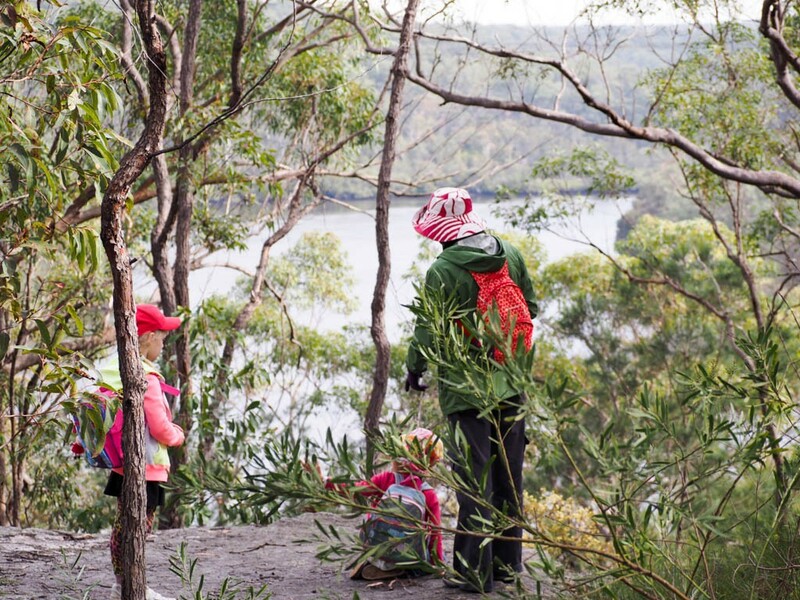 Easy access with beautiful views of the Georges River: this short bushwalk is one of our top Sydney children’s walks. 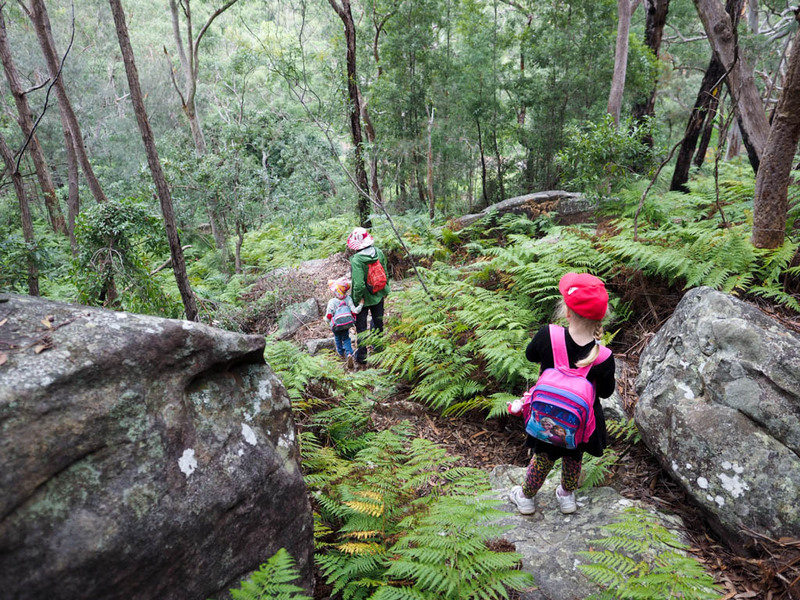 The Ridge Walk follows a bushtrack up the small escarpment overlooking Georges River National Park and offers a lot of great spots for secluded picnics away from the river’s speed boats, jet skis and and fishing. We’ve done this walk twice now and, believe it or not, have enjoyed it more each time. It’s perfect for slightly older children (5+) as the walk up to the ridge is quite steep. We had to turn back at around the half-way point on our first attempt (Marilla was 4) but finished it second time around a year or so later when we took Marilla’s friend Charlotte. The bush is remarkably weed-free considering suburbia is just on the other side of the hill. 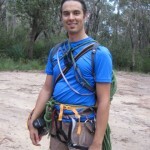 That said, the bush at river level is a different story. 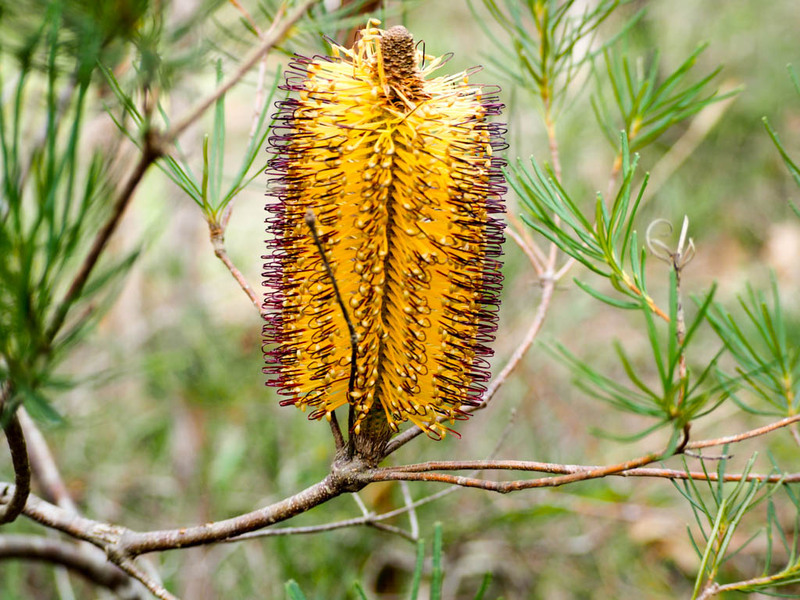 As you walk the ridge, angophoras (smooth barked floribunda and rough-barked costata) line the path, along with banksias (ericfolia and the very pretty spinulosa with its orange, black-tipped flowers). 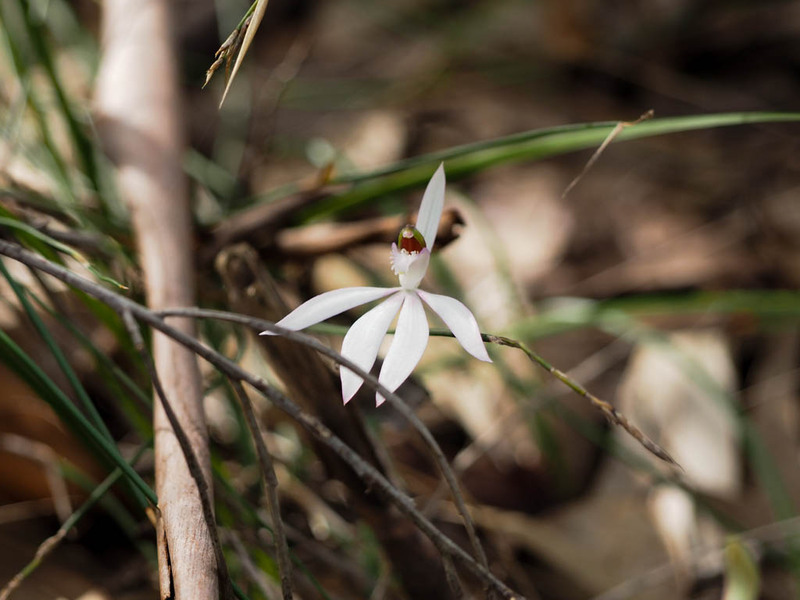 We even found a few ground orchids and wood fungus. 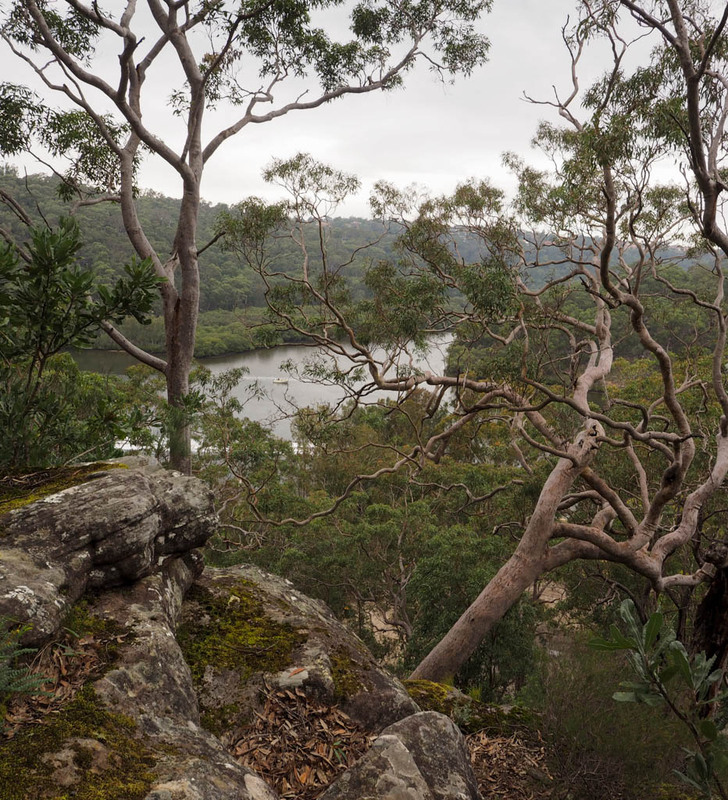 The real highlight are the many glimpses of the Georges River, especially when you’re sharing a hot chocolate or coffee from one of the many rock platforms along the ridge. Marilla and Charlotte had a great time running along the track, hiding behind rocks or trees and pretending to be cockatoos and wombats. 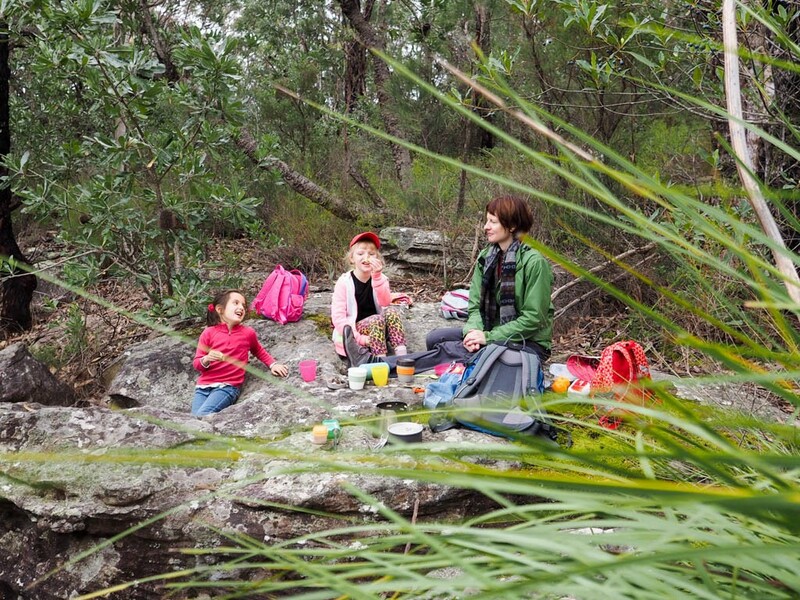 The other option at Georges River NP is the Yeramba Lagoon Circuit, which is better suited to younger children as it is less steep. Follow the path until you get to signs pointing back to Cattle Duffers Flat and then head down the steep path, through a lot of ferns.